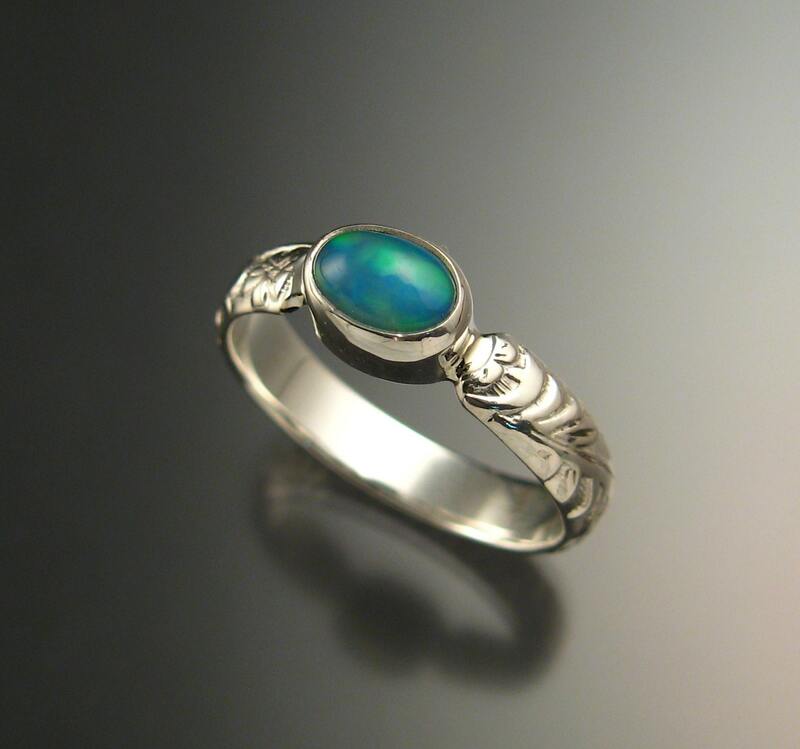 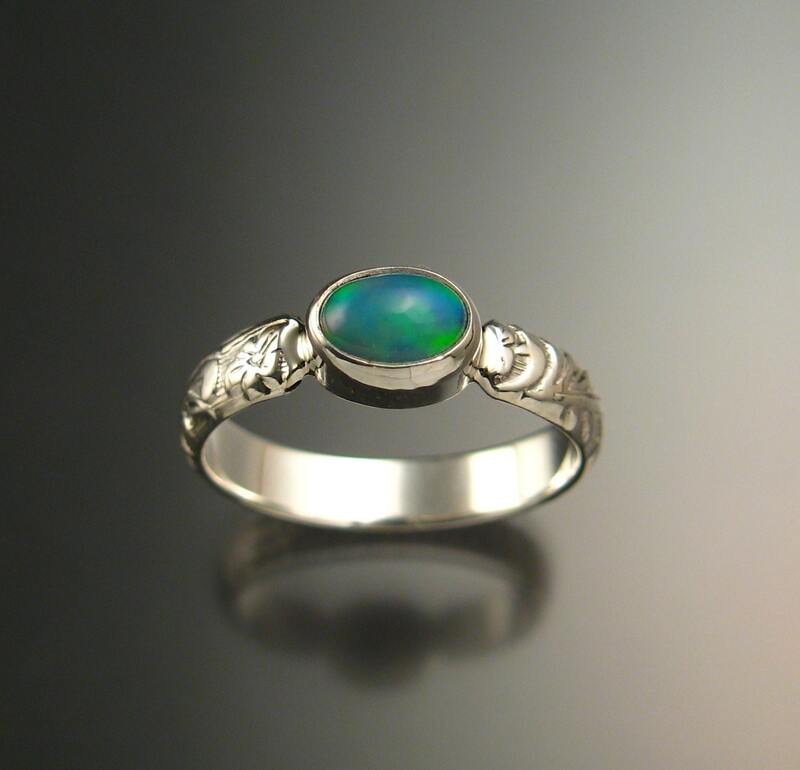 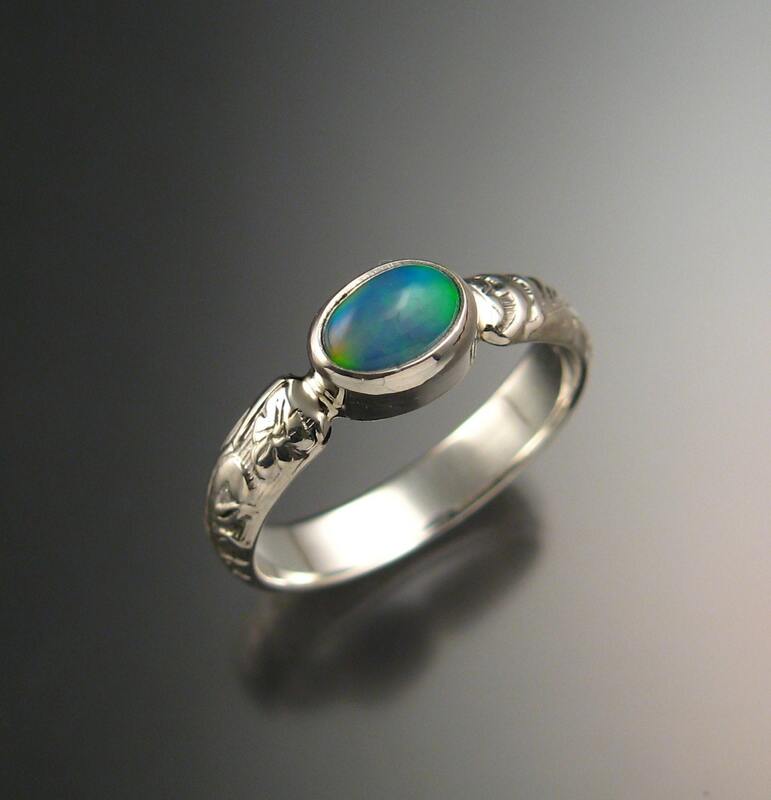 This ring contains a natural deep blue-green Ethiopian Opal. 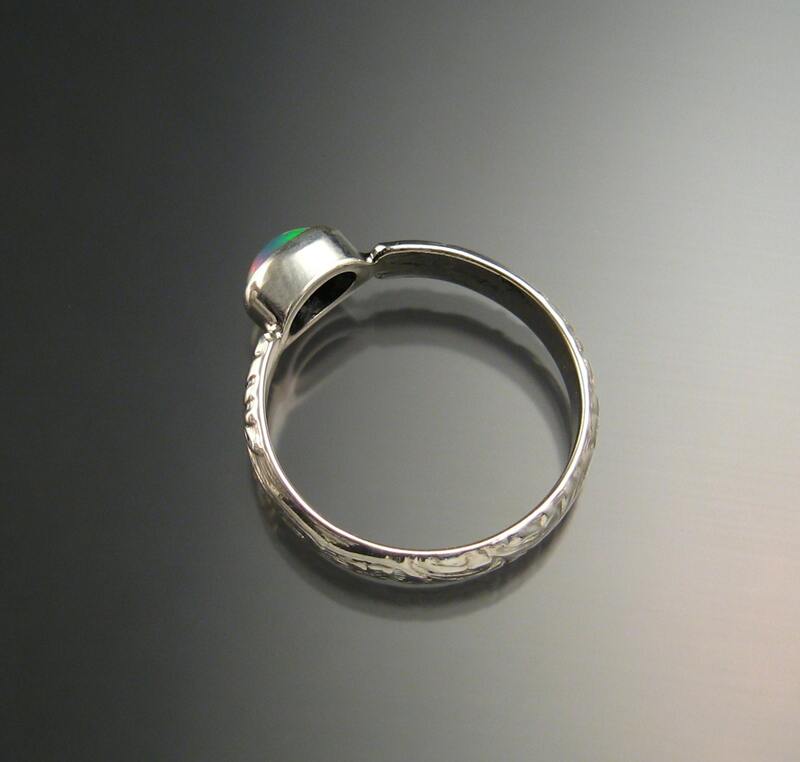 The 5 x 7mm stone is bezel set with 4mm wide and 1.5mm thick Victorian floral design band. 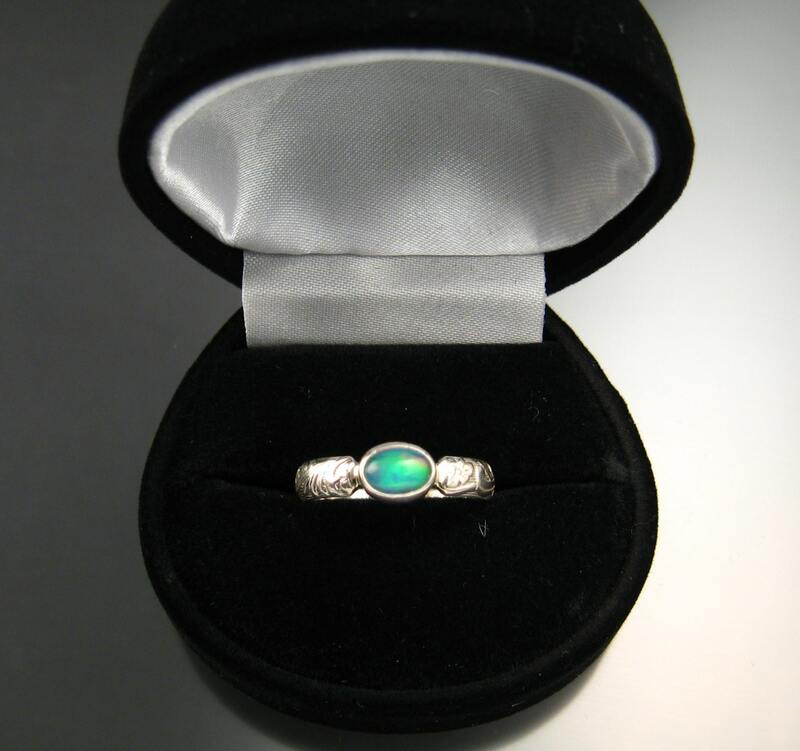 Please specify your ring size in a "note to seller" at check out.